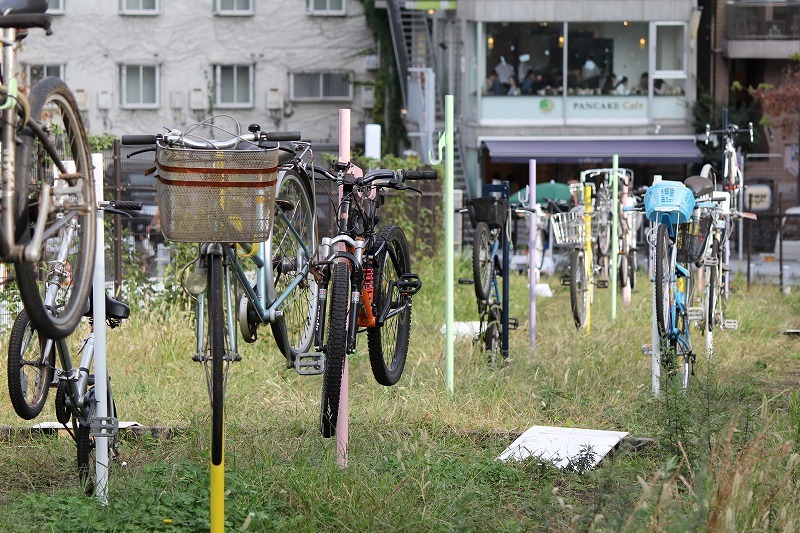 The Art Event “Daikanyama Installation” is the Art event held once in two years from 1999 at Daikanyama (near by Shibuya) Tokyo. 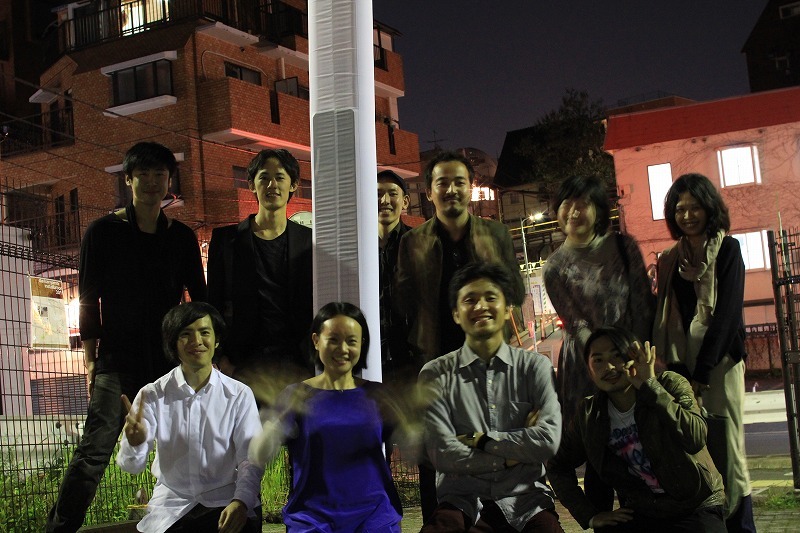 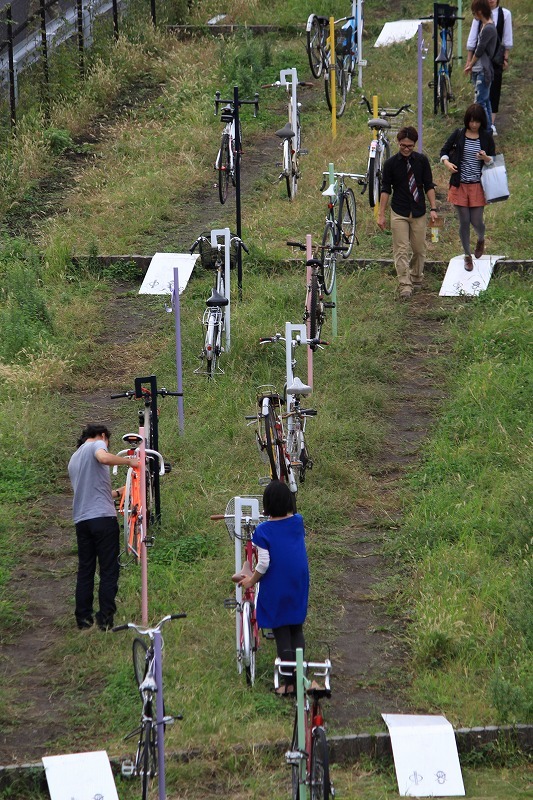 This Event shows 10 art installation selected by competition. 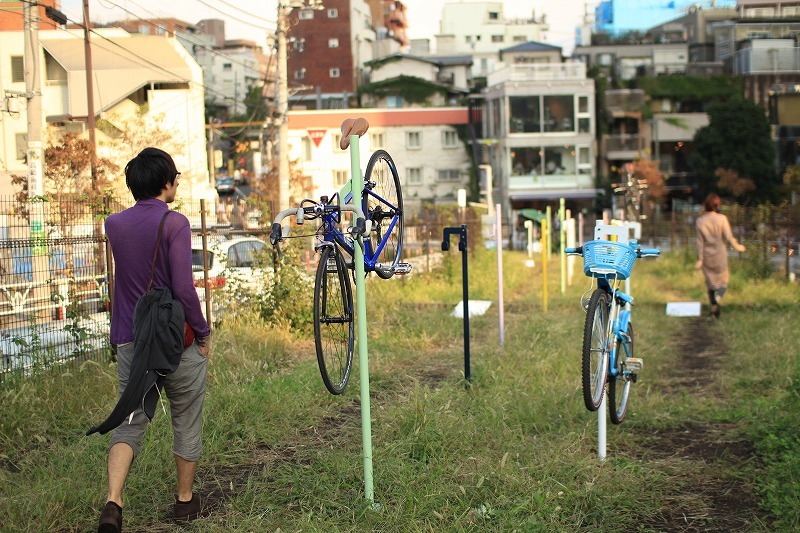 During exhibition period, each works are placed in arbitrary place which is chosen by artists their selves in the city. 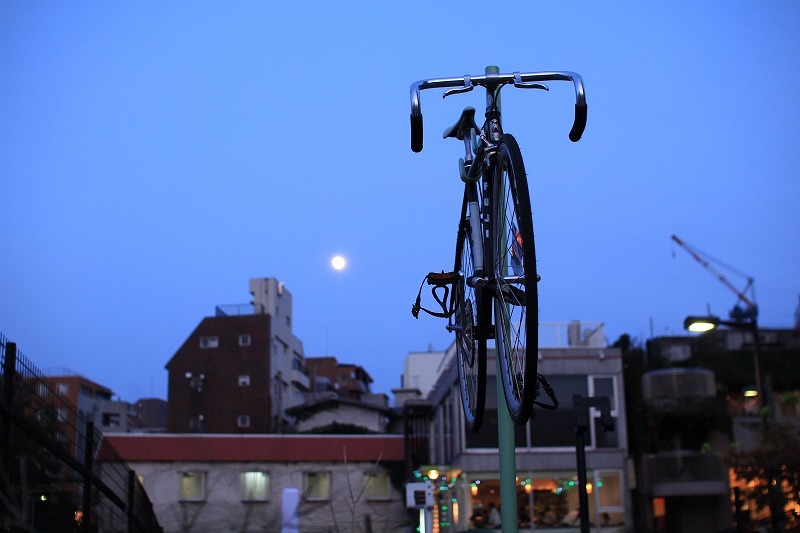 “Bicycle to the Air” is the one of those works. 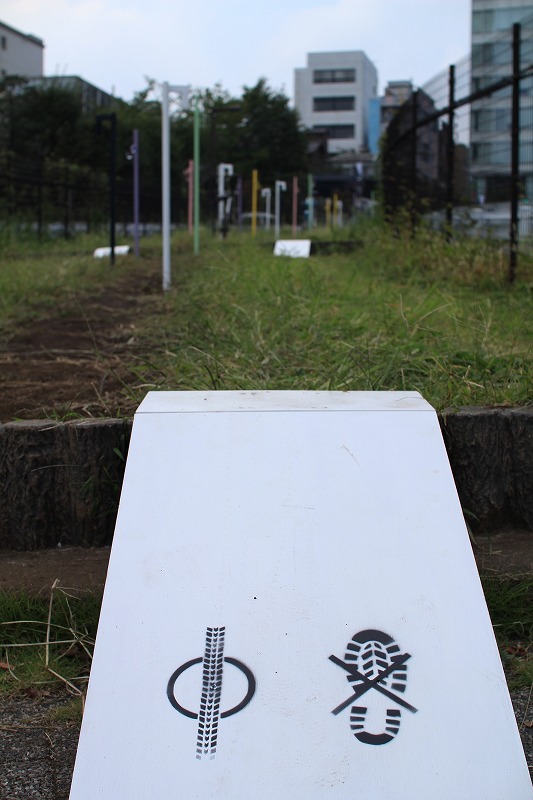 The site of this installation is on the center island of road which is left behind from the redevelopment of this area. 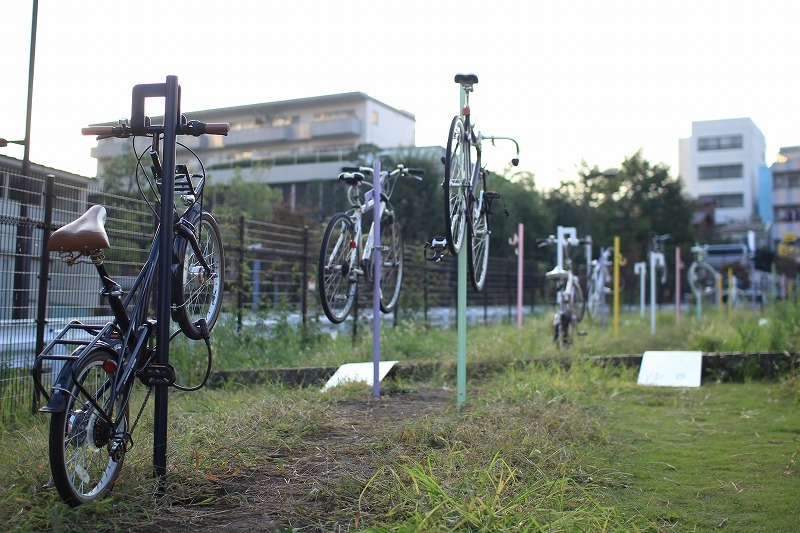 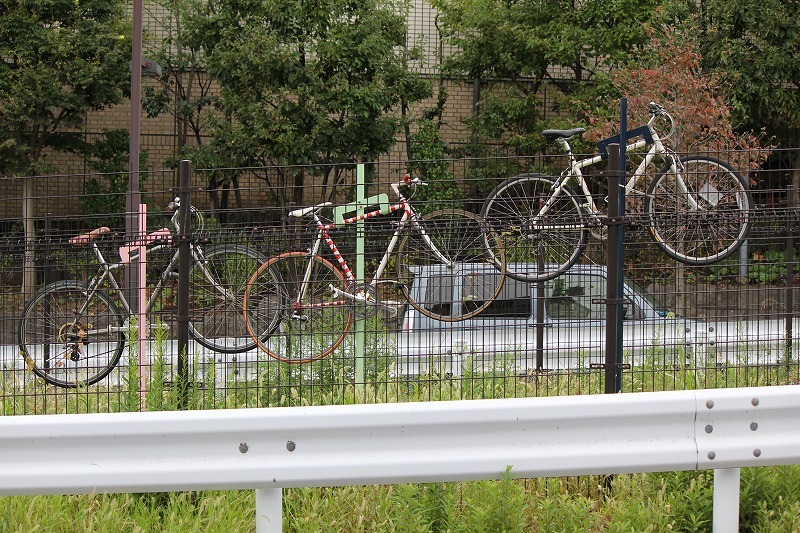 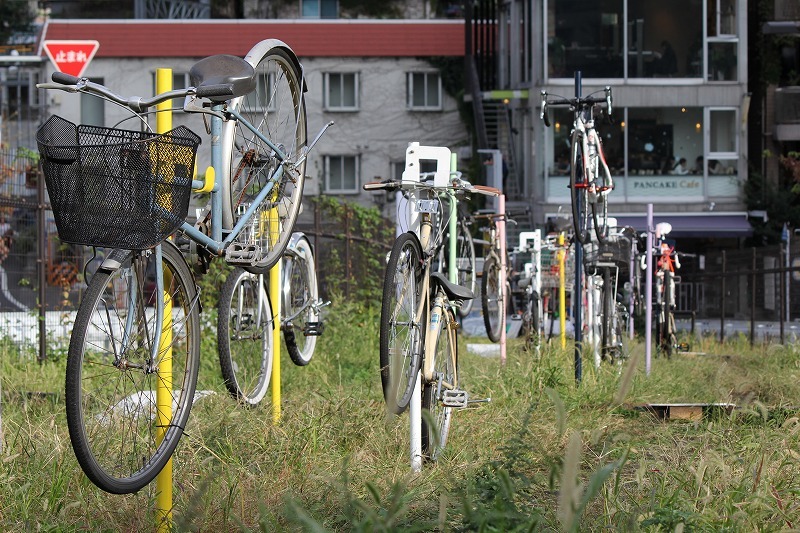 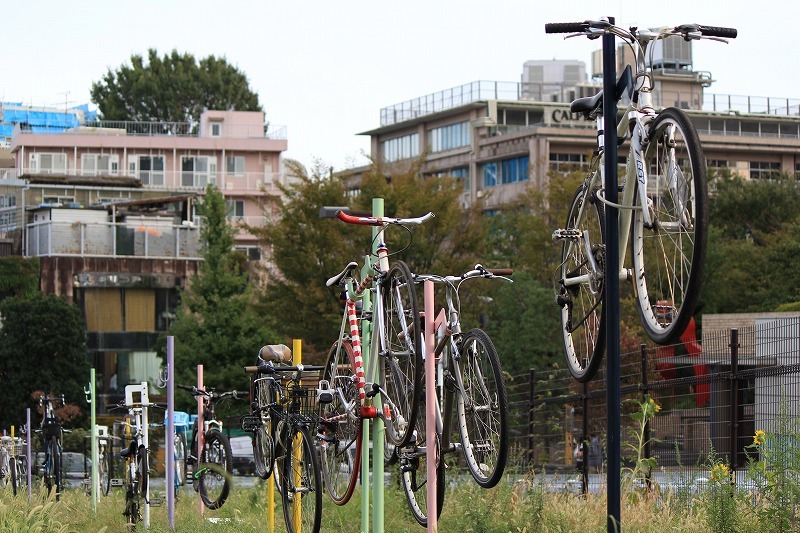 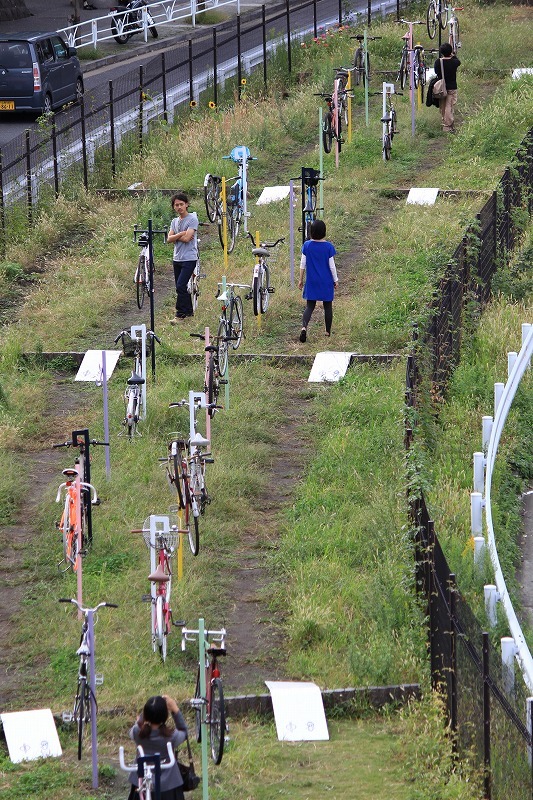 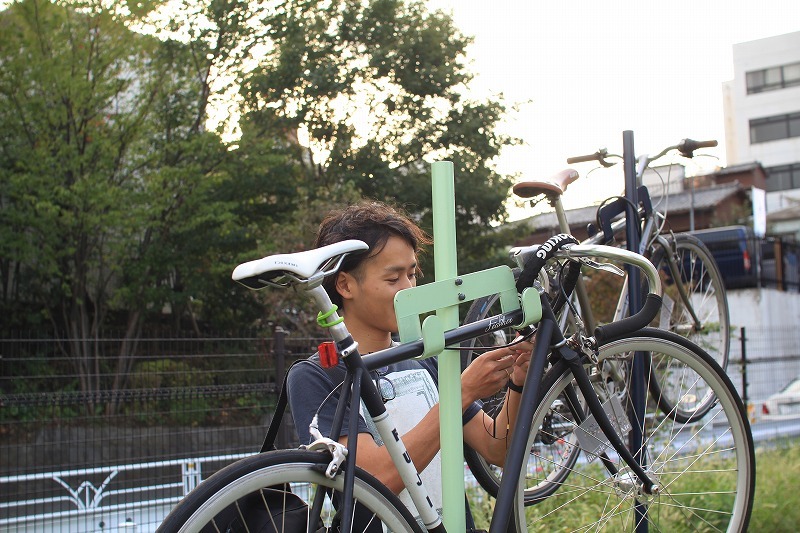 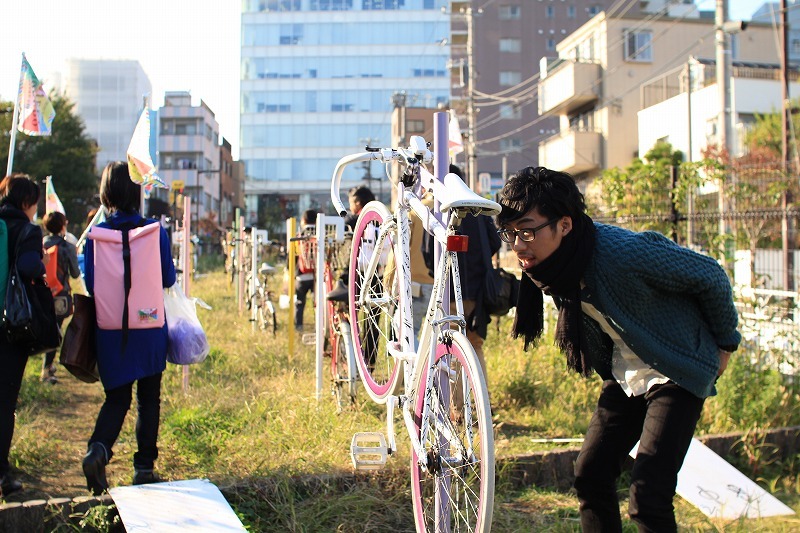 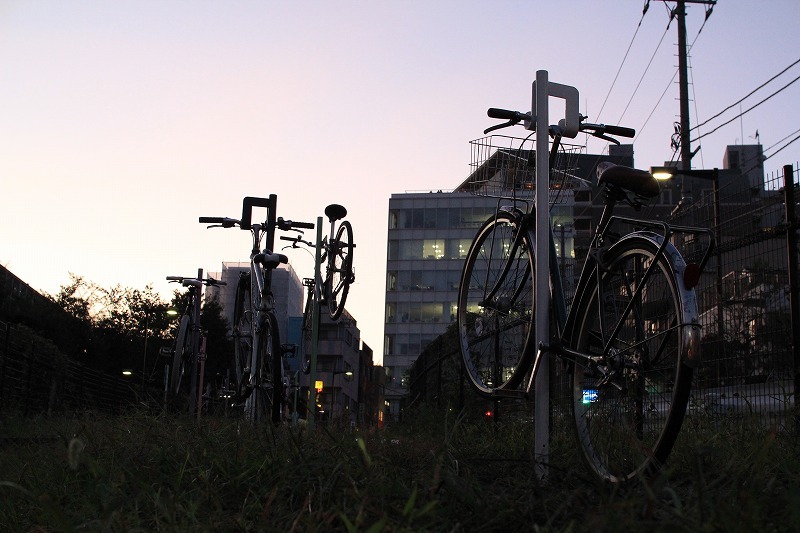 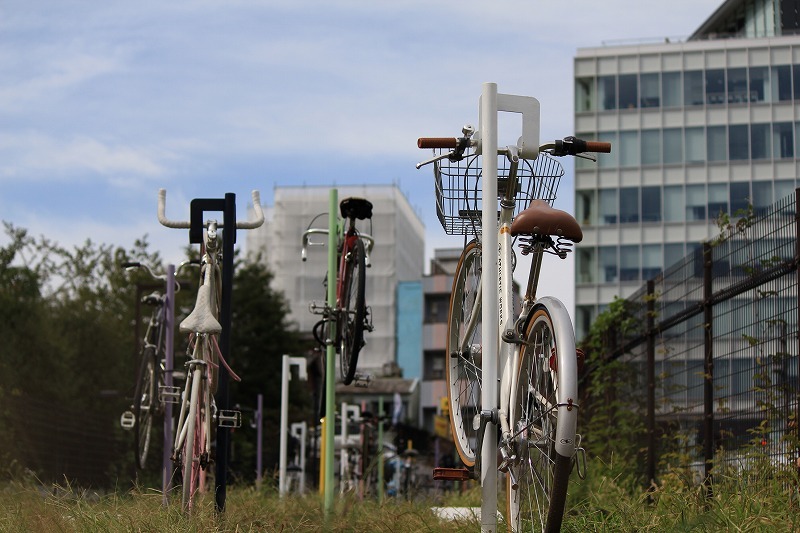 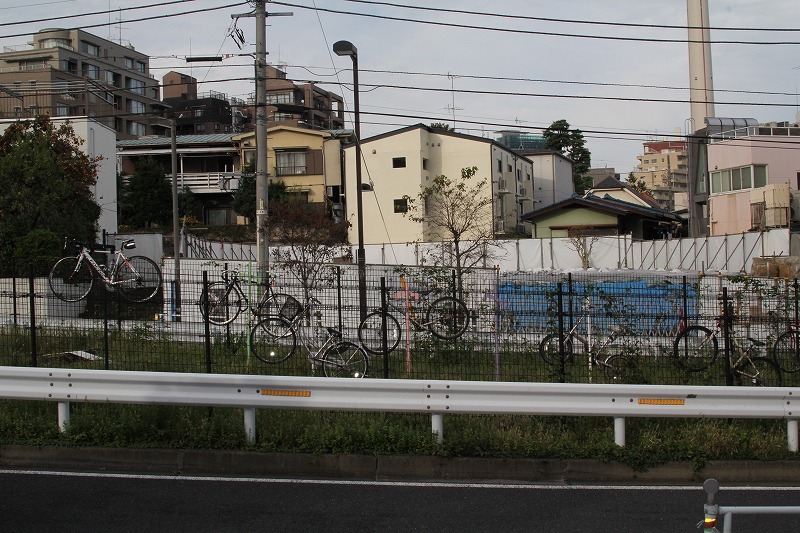 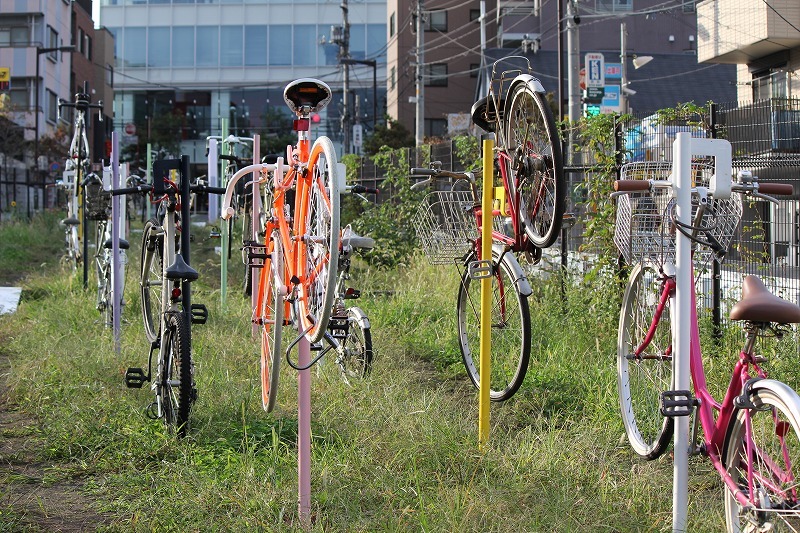 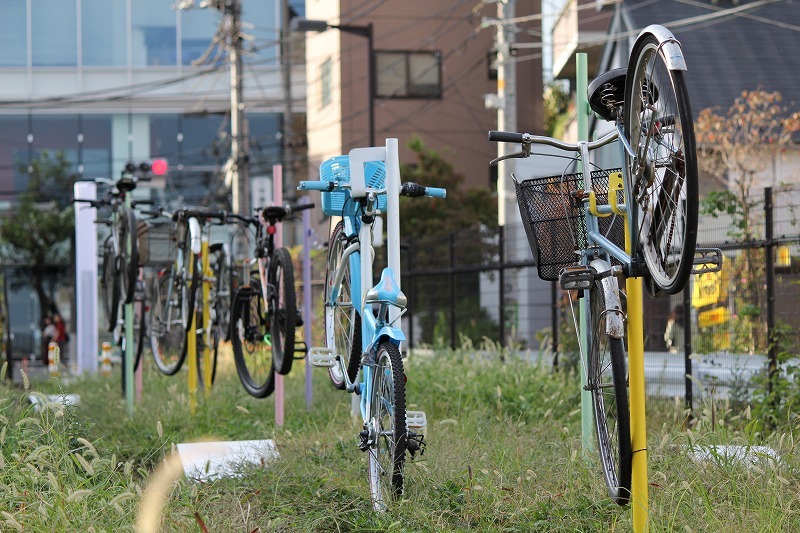 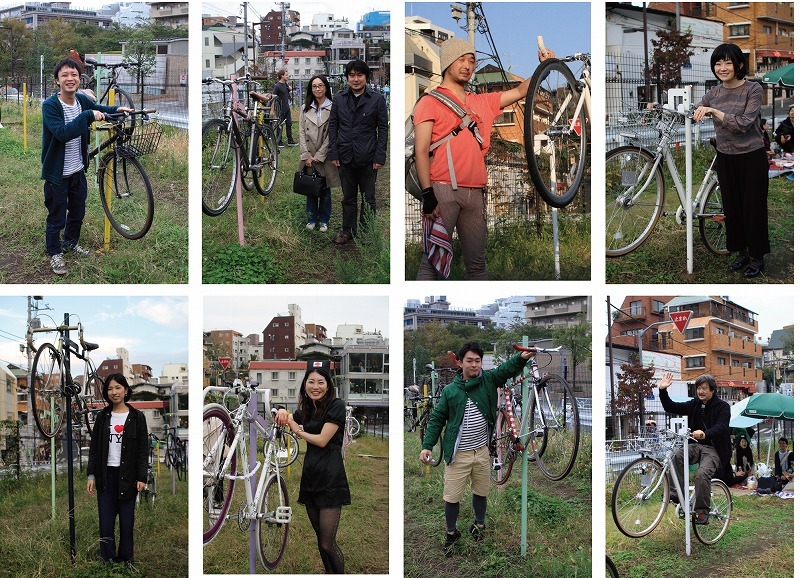 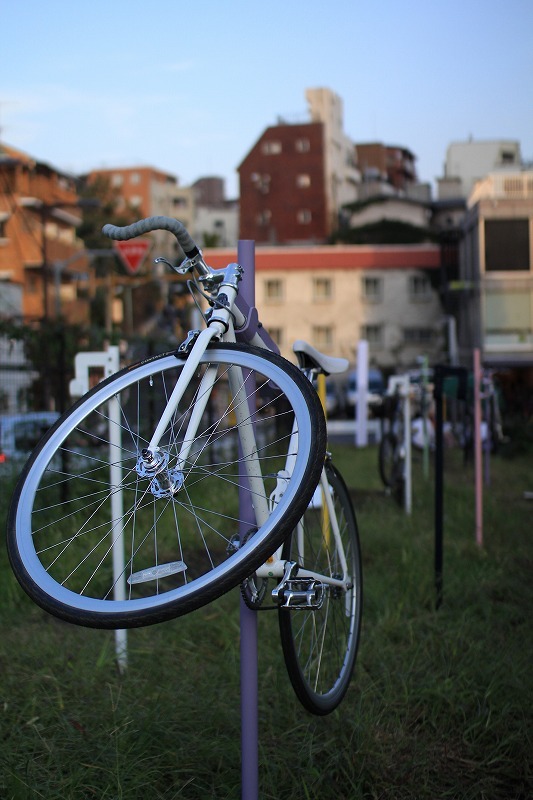 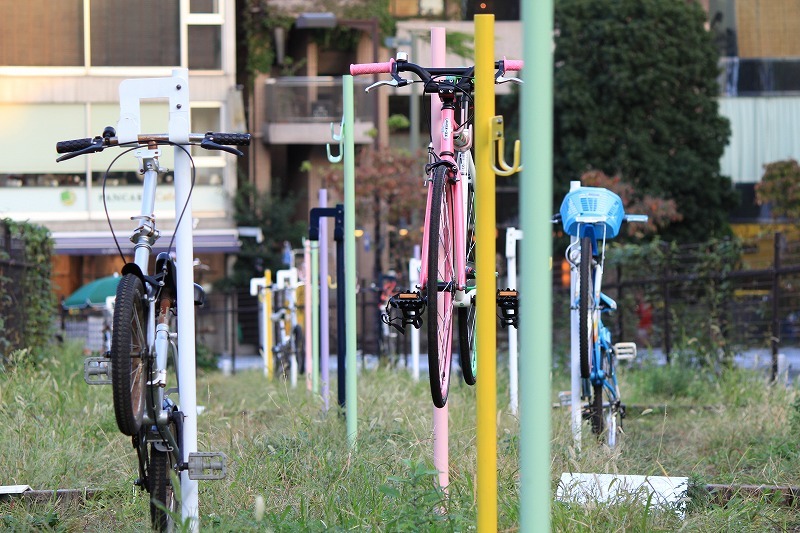 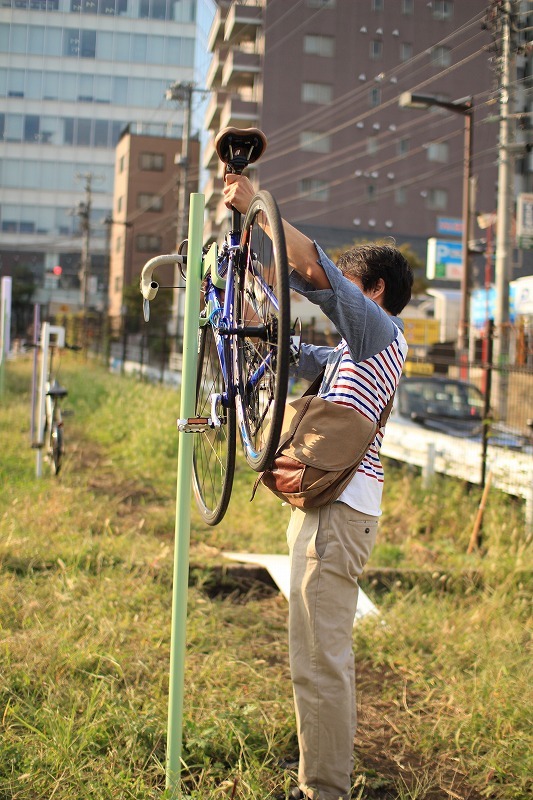 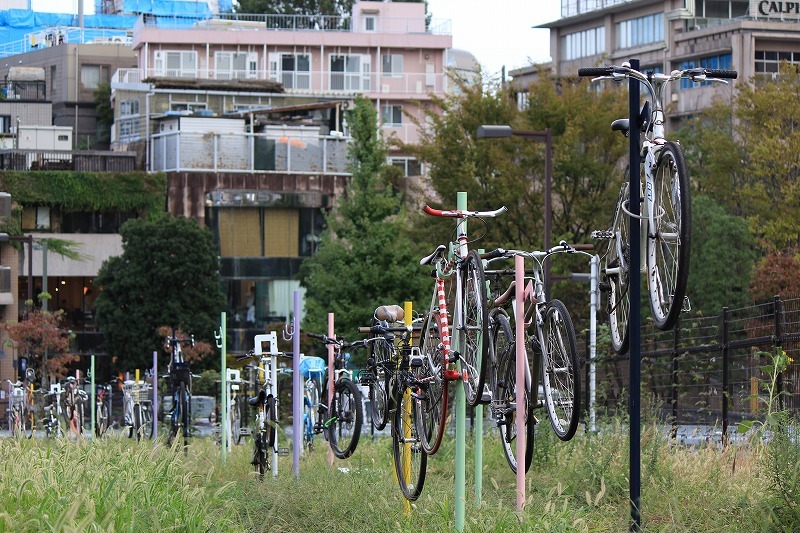 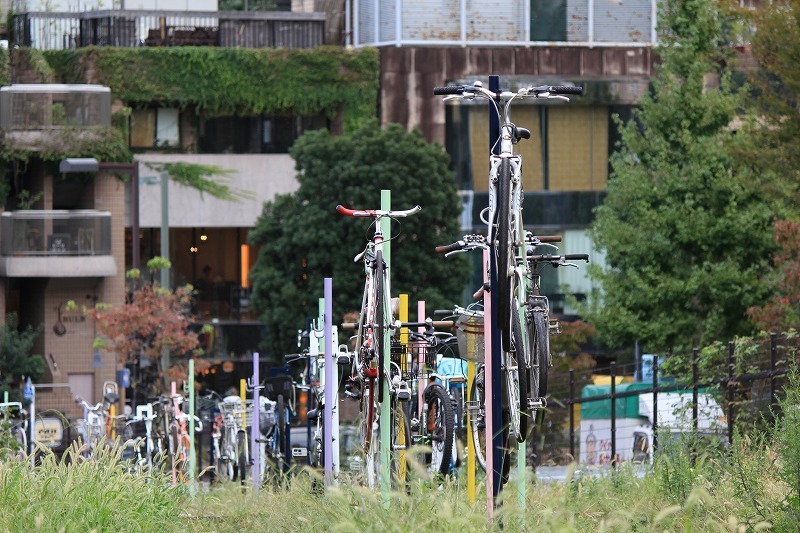 The Artist/Architect Mitsuyoshi Miyazaki made bicycle parking as installation. 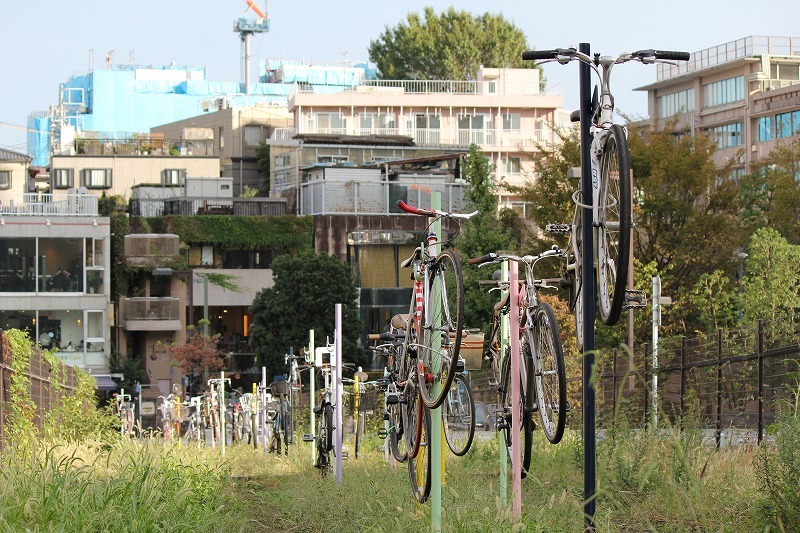 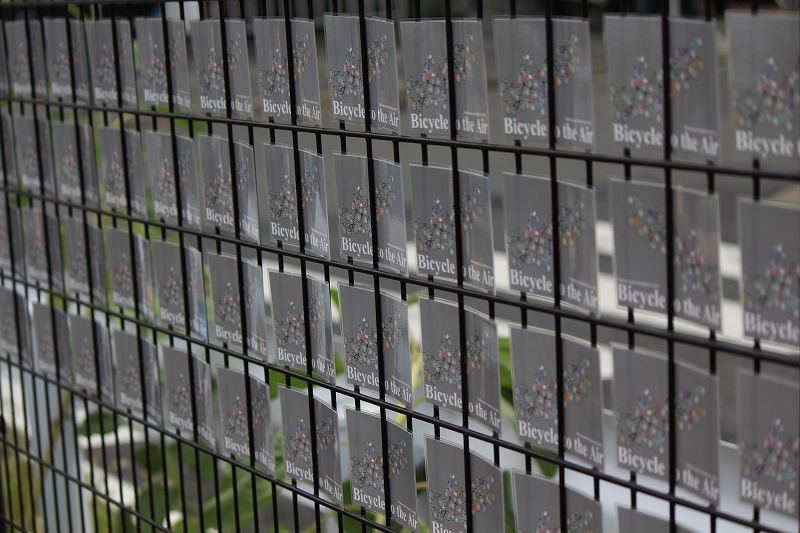 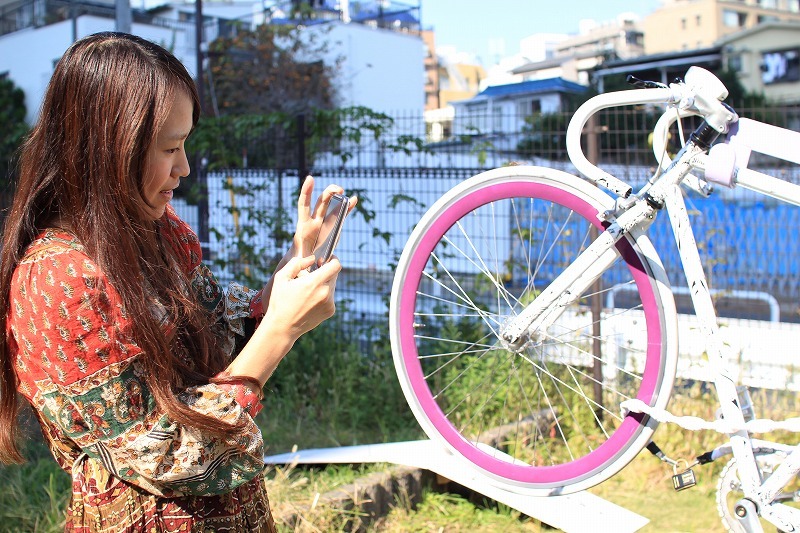 During exhibition, this place opened to public , and people can park their bicycle in free. 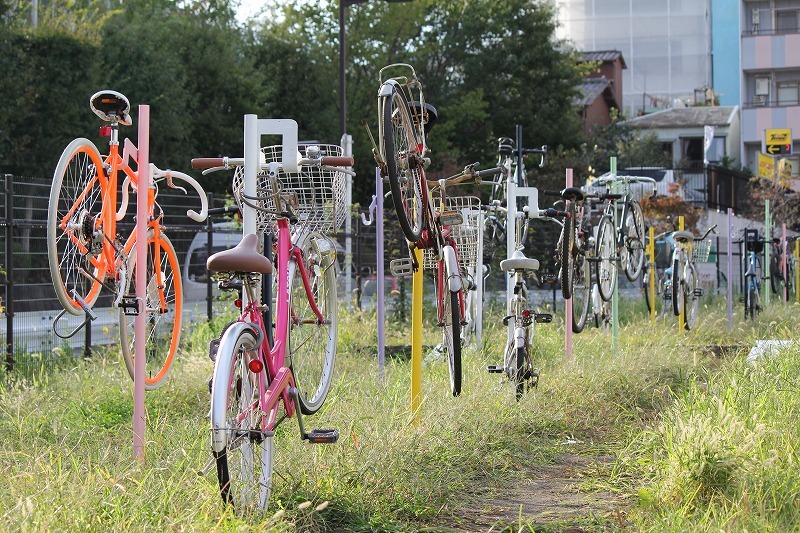 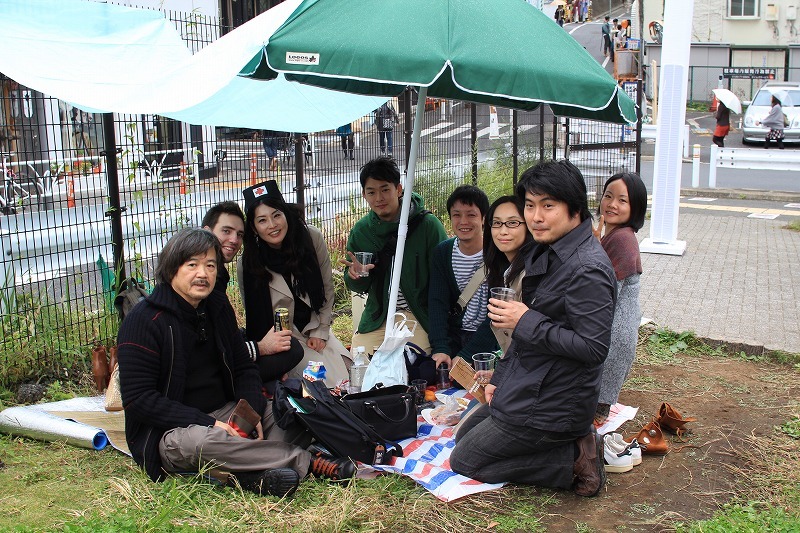 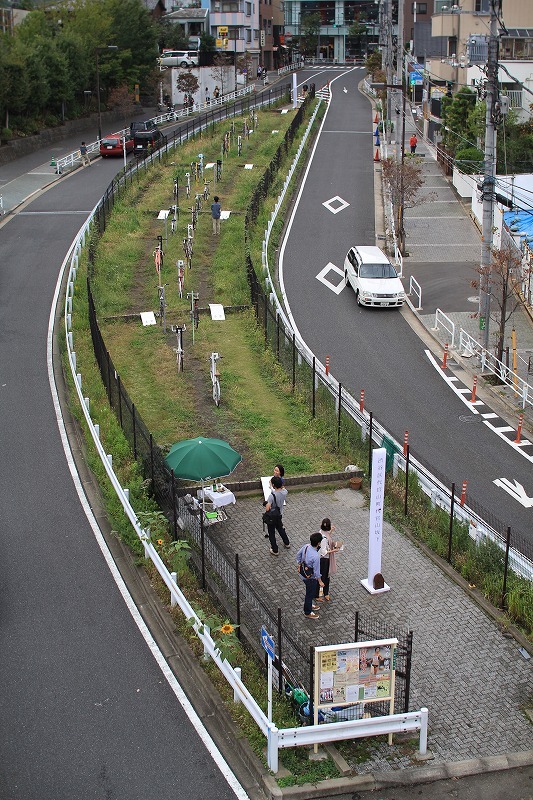 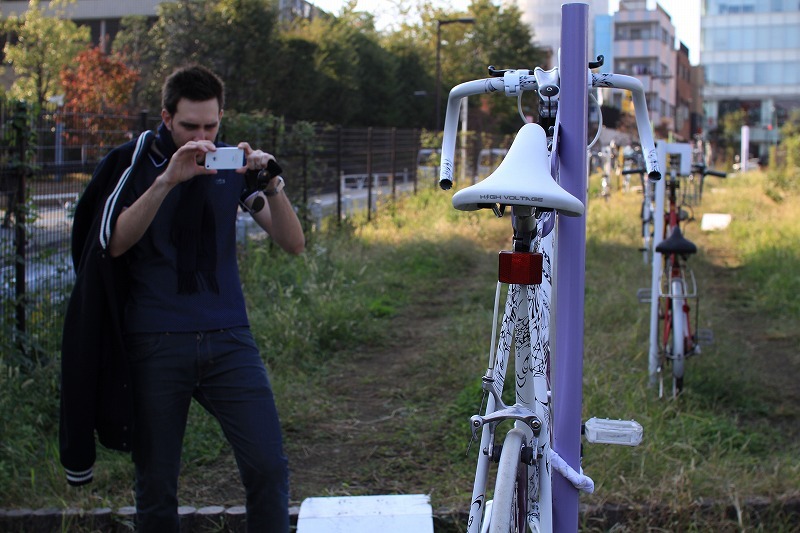 People can access to this event by bicycle from around Tokyo , then park here , and walk to enjoy other works. 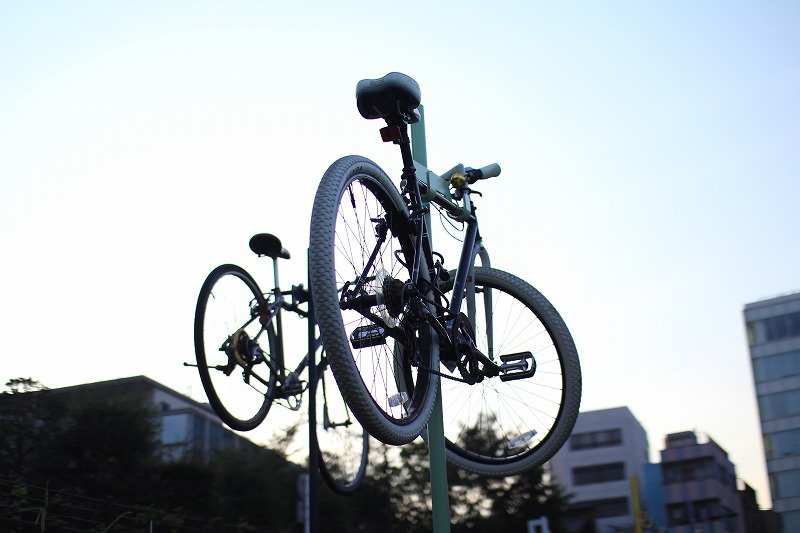 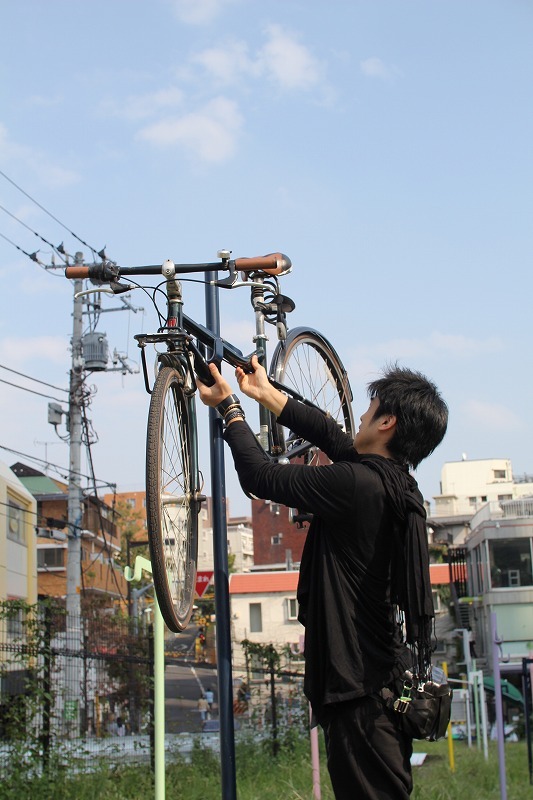 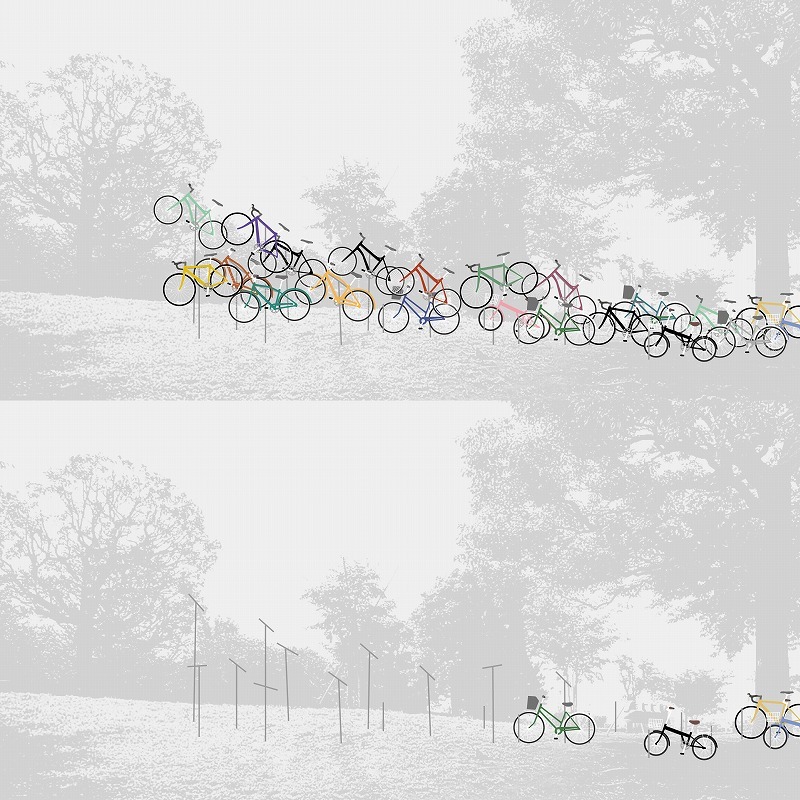 People park their bicycle as usual, but as a result, there will be a scene of bike flying to the sky. 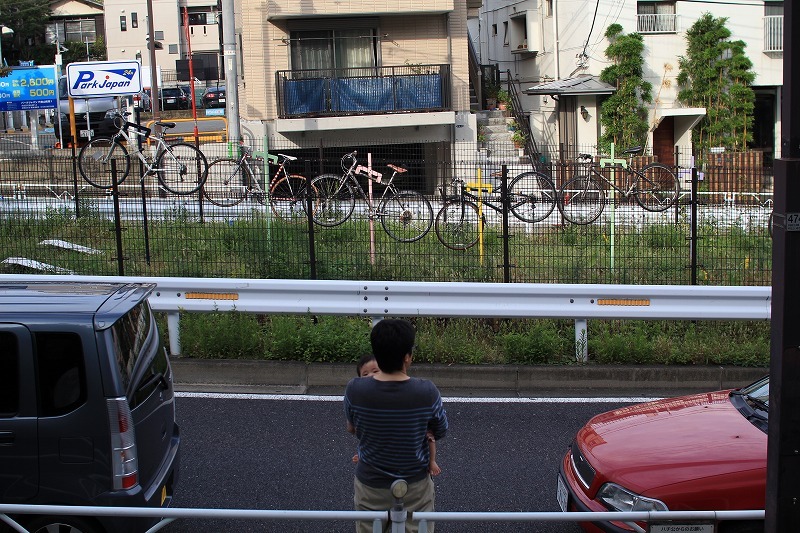 The amount and balance of bicycles keep changing every day. 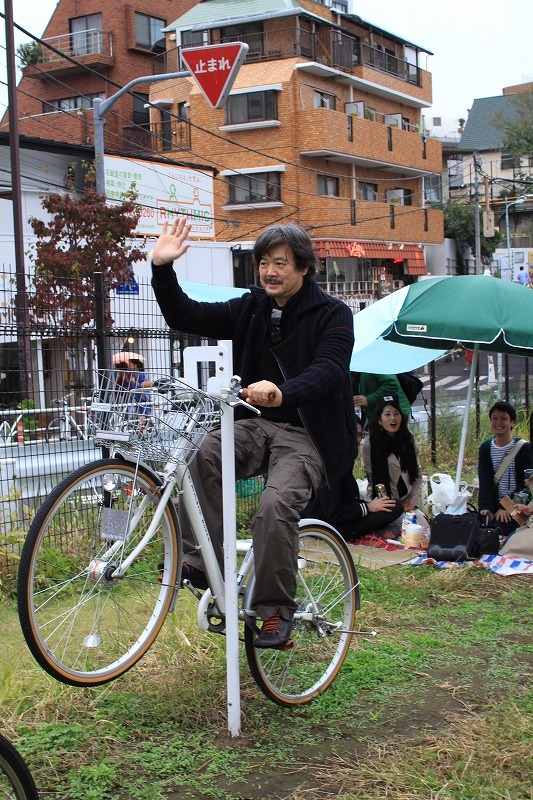 He says this kind of “Nature phenomenon” like a receding and advancing of the ocean tide by people.